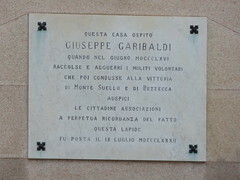 Giuseppe Garibaldi (Italian: [dʒuˈzɛppe ɡariˈbaldi]; 4 July 1807 in Nice – 2 June 1882 on Caprera) was an Italian general, politician and nationalist who played a large role in the history of Italy. 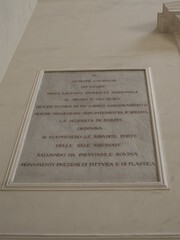 He is considered, with Camillo Cavour, Victor Emmanuel II and Giuseppe Mazzini, as one of Italy's "fathers of the fatherland". 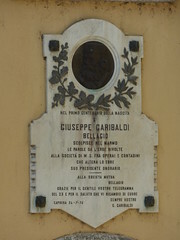 Garibaldi was a central figure in the Italian Risorgimento, since he personally commanded and fought in many military campaigns that led eventually to the formation of a unified Italy. He was appointed general by the provisional government of Milan in 1848, General of the Roman Republic in 1849 by the Minister of War, and led the Expedition of the Thousand on behalf and with the consent of Victor Emmanuel II. He has been called the "Hero of Two Worlds" because of his military enterprises in Brazil, Uruguay and Europe. These earned him a considerable reputation in Italy and abroad, aided by exceptional international media coverage at the time. Many of the greatest intellectuals of his time, such as Victor Hugo, Alexandre Dumas, and George Sand, showered him with admiration. The United Kingdom and the United States helped him a great deal, offering him financial and military support in difficult circumstances. In the popular telling of his story, he is associated with the red shirts worn by his volunteers in lieu of a uniform. 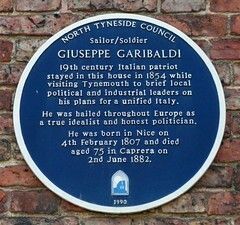 Sailor / soldier Giuseppe Garibaldi 19th century Italian patriot stayed in this house in 1854 while visiting Tynemouth to brief local political and industrial leaders on his plans for a unified Italy. He was hailed throughout Europe as true idealist and honest politician. He was born in Nice on 4th Feb 1807 and died aged 75 in Caprerra on 2nd June 1882.